Over 400 gas customers in Laurel, Maryland have been without power since Thursday. A water main broke and flooded a network of gas pipes with water, mud and debris. Customers can expect to be without gas service indefinitely, gas utility BGE said. Nearly 400 people in Laurel, Maryland, have gone four days without hot water and heat after a gas main was flooded with water and debris. 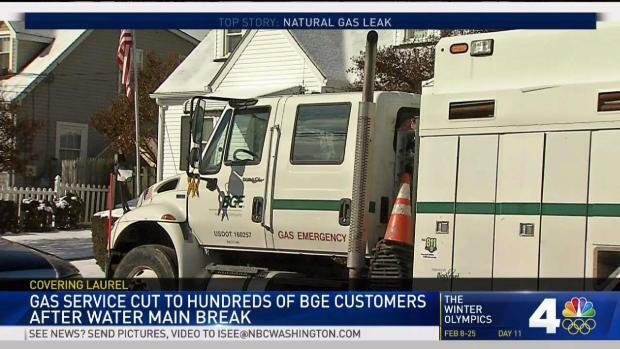 Gas company BGE said they made good progress Sunday night, restoring gas for 44 cutomers. The gas company hopes to fully restore service by late Tuesday. The city opened a community center for two hours Sunday so residents could warm up and take hot showers. The center remains open to residents. 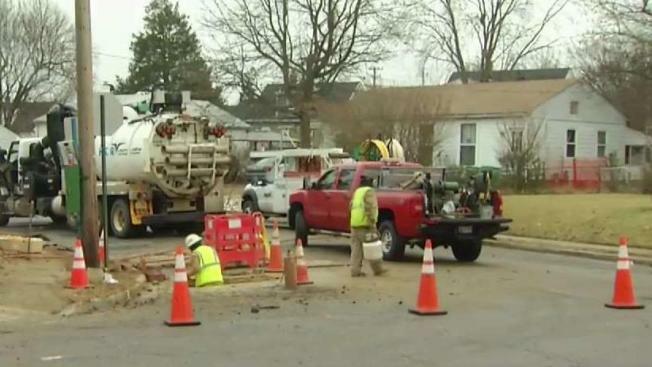 News4's Derrick Ward reports how hundreds of Laurel, Maryland, residents are coping without hot water and heat after a water main ruptured last Thursday. "It is a little bit rough, but we've been managing," one resident told News4. "We've been having to go out and buy heaters. Electric heaters." 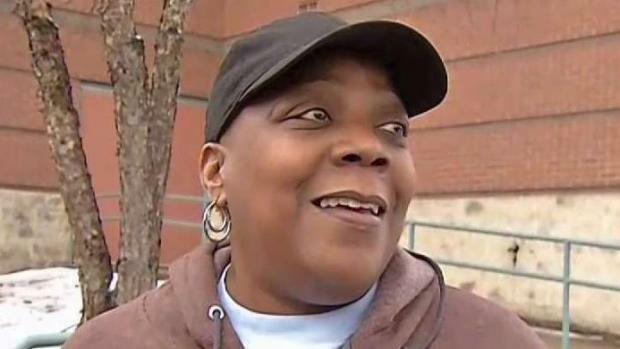 Space heaters have been cleared off the shelves in nearby stores, residents told News4. The outage began Thursday night when a water main broke and flooded a network of gas pipes that served several blocks. About 22 customers near 8th Street and Gorman Avenue had their service restored, Laurel Mayor Craig Moe said in a statement. But 401 others had to wait. The company expects to restore service to more homes on Sunday, but also said in a statement that customers should expect "a continued multi-day interruption." Crews were forced to find the water main break, stop the flow of water and visit each customer to turn off their gas meters, BGE said. Gas lines packed with mud and debris must be cleaned or replaced entirely. Some customers may be forced to replace their own pipes and appliances if they got waterlogged, BGE said. Residents would have to pay for their own plumbers. News4's Derrick Ward talks to one of many Laurel residents who has been left without gas service for four days. "Not too happy about that," another resident told News4. "My neighbor said something about that could be a class action suit." Both apartments and single-family homes in an area between 8th Street, Montrose Avenue, Montgomery Street and Sandy Spring Road were affected. If you are in the area and smell gas, move to a safe location and call your utility company, BGE said.